I realized the other day I posted Part 2 of this series to my youtube awhile ago but not blogger so this one will be quick and mostly via video walkthrough. I often post random followup videos which may never arrive on this blog. So if you’re waiting on something specific I mentioned or the next part to a series its always a good idea to subscribe to the YouTube. This is almost always true if there is video associated with the post. In the last blog we went over using virtual CAN devices to interact with a virtual car simulators of a CAN network This was awesome because it allowed us to learn how to interact with he underlying CAN network without fear of hacking around on an expensive automobile. But now it’s time to put on your big boy pants and create a real CAN interface with hardware and plug your hardware device into your ODB2 port. The video I created below will show you where to plug your device in, how to configure it and how to take the information you learned while hacking around on the virtual car from part1 and apply it directly to a real car. That should get you started connecting to physical cars and hacking around. I was also doing a bit of python coding over these interfaces to perform actions and sniff traffic. I might post that if anyone is interested. Mostly I have been hacking around on blockchain stuff and creating full course content recently so keep a look out for that in the future. I wanted to learn about hacking cars. As usual I searched around the internet and didn’t find any comprehensive resources on how to do this, just bits and pieces of the same info over and over which is frustrating. I am not a car hacking expert, I just like to hack stuff. 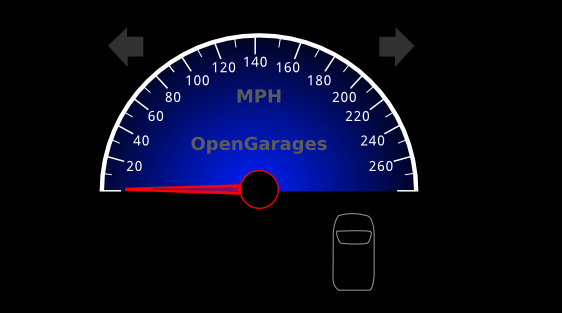 This mini course will run in a fully simulated lab environment available from open garages, which means in 5 minutes from now you can follow along and hack cars without ever bricking your girlfriends car. Since you obviously wouldn’t attack your own Lambo, totally use your girlfriends Prius. The first thing we are going to do before we get into any car hacking specifics such as “WTF is CAN?”, is get your lab up and running. We are going to run a simple simulated CAN Bus network which controls various features of your simulated car. Its better to learn by doing then sit here and recite a bunch of car network lingo at you and hope you remember it. I also don’t want you to buy a bunch of hardware and jack into your real car right away. Instead there are options that can get you started hacking cars RIGHT NOW by following along with this tutorial. This will also serve to take away the fear of hacking your actual car by understanding what your doing first. First things first, set yourself up with an Ubuntu VMware install, and load it up. Optionally you could use a Kali Iinux VM, however, that thing drives me nuts with copy paste issues and I think Kayak was giving me install problems. So support is on you if you would like to use Kali. 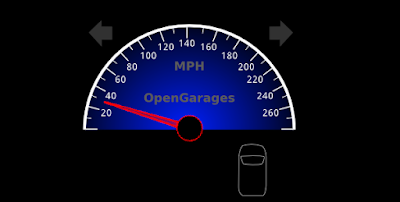 However, I do know Kali will work fine with OpenGarages virtual car.. So feel free to use it for that if you have it handy and want to get started right away. 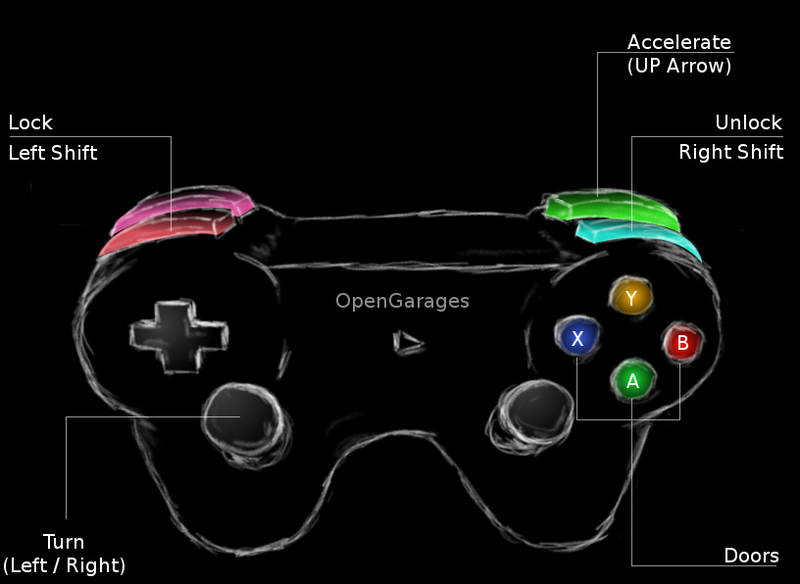 Note: that the controller must be the in-focus GUI screen to send keyboard commands to the simulator. The simulator has a speedometer with Right and Left turn signals, doors etc. Below are the list of commands to control the simulator when the Control panel is in focus. Give them each a try and note the changes to the simulator. Notice in the setup commands above we used a VCan0 interface. Run Ifconfig and you will now see that you indeed have a new network interface that speaks to the CAN network over VCan0. Car networks run on a variety of protocols most prevalent being CAN. You can think of a CAN Bus like an old school networking hub where everyone can see everyone elses traffic. This is true to some extent although you may not see all of the cars traffic if its not connected to that particular bus your plugged into. You can think of CAN traffic kind of like UDP in that its send and forget, the main difference being parts of the CAN bus network don't actually have addresses and everything runs off arbitration IDs and priorities. Thats enough background to get you doing rather then reading. Above we can see a bunch of CAN frames, and if we perform actions on the vehicle we will see changes to data values in the CanDump output. However this may happen very fast, and we may not be able to see if for example we unlocked our simulators door. This is because things are changing constantly in the cars IDLE state. One single value changing may not stand out enough for us to take notice or may scroll so fast we cant see it. One option would be to perform an action and replay it, we should see the actions happen again in the replay if the traffic for the action we recorded is on the same bus network our device is plugged into. There are loads of networks within a car and its not guaranteed our network tap for example an OBD2 port plugin is connected to the same network as door we opened. Or the door may not be connected to the network at all depending on your car and its age or how its configured. Another useful tool included with CanUtils package is CanPlayer for replaying traffic. If the functionality we are trying to capture is on the same Bus as the adaptor plugged into the car, or in this case our Virtual CAN interface, we can use CanDump to save traffic to a file. We then use CanPlayer to replay the traffic on the network. 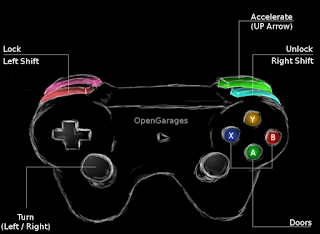 For example lets run CanDump and open a door and then replay the functionality with CanPlayer. Nice, so if all went well you should see that your door is now open again. If this did not happen when attacking a real car, just try to replay it again. CAN networks are not like TCP/IP, they are more like UDP in that you send out your request and its not expecting a response. So if it gets lost then it gets lost and you have to resend. Perhaps something with higher priority on the network was sending at the time of your replay and your traffic was overshadowed by it. You will see 3 fields, Time, ID and Data. Its pretty easy to figure out what these are based on thier name. The most important part for our usage in this blog are the ID and the Data fields. The ID field is the frame ID which is loosely associated with the device on the network which is effected by the frame being sent. The ID to also determines the priority of the frame on the network. The lower the number of the CAN-ID the higher priority it has on the network and more likely it will be handled first. The data field is the data being sent to change some parameter like unlocking a door or updating output. You will notice that some of the bytes are highlighted RED. The values in red are the values that are changing during the idle state you are currently in. So with the terminal sniffing window open put the simulator and the controller into the foreground, with the controller being the window you have clicked and selected. 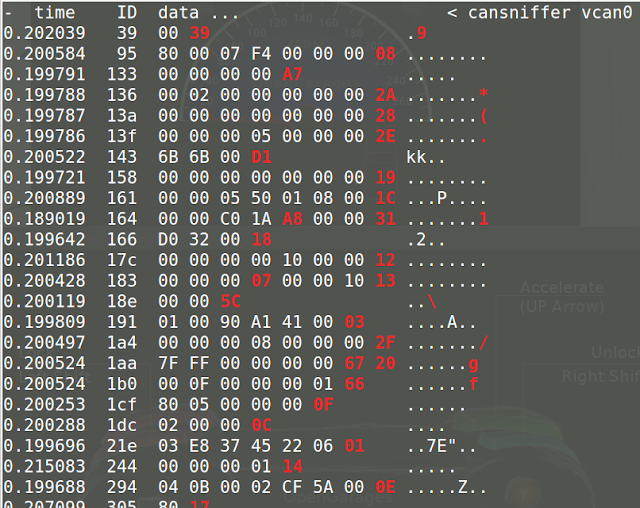 Pay attention to the CanSniffer output while hitting the UP ARROW and look for a value that was white but is now Red and increasing in value as the throttle goes up. This might take you a few minutes of paying attention to whats going on to see. The following 2 pictures show ID 244 in the IDLE state followed by pressing the up button to increase the speed. You will notice a byte has turned red and is increasing in value through a range of HEX values 0-F. It will continue to enumerate through values till it reaches its max speed. The byte in ID 244 which is changing is the value while the throttle is engaged, so 244 associated in some way with the increasing speed. The throttle speed is a good value to start with as it keeps increasing its value when pressed making it easier to spot while viewing the CanSniffer output. To get back all of the IDs again click the terminal window and input +000000 followed by the Enter key. Now you should see all of the output as before. Essentially 000000 means include everything. But when you put a minus in front of it then it negates everything and clears your terminal window filtering out all values. Now lets figure out another ID for the blinkers. If you hit the left or right arrow with the controls window selected you will notice a whole new ID appears in the list, ID 188 shown in the picture below which is associated with the blinker. This ID was not listed before as it was not in use within the data output until you pressed the blinker control. Lets single this value out by pressing -000000 followed by +188. Just like in the throttle example your terminal should only show ID 188, initially it will show with 00 byte values. As you press the left and the right blinker you will see the first Byte change from 00 to 01 or 02. If neither is pressed as in the screenshot above it will be 00. Its kind of hard to have the controller in focus and get a screenshot at the same time but the ID will remain visible as 00 until it times out and disappears from the list when not active. However with it filtered out as above you can get a better view of things and it wont disappear. This lab will give you a good idea how to reverse all of the functionality of the car and associate each action with the proper ID and BYTE. This way you can create a map of intended functionality changes you wish to make. Above we have done a few walk throughs with you on how to determine which byte and ID is associated with an action. Now its time to map everything out yourself with all the remaining functionality before moving on to attacking individual components. What ID is the speedometer using? What byte changes the speed? With all of the functionality mapped out we can now try to target various devices in the network directly without interacting with the controllers GUI. Maybe we broke into the car via cellular OnStar connection or the center console units BLE connection which was connected to the CAN network in some way. After an exploit we have direct access to the CAN network and we would like to perform actions. Or maybe you have installed a wireless device into an OBD2 port under the dashboard you have remote access to the automobile. 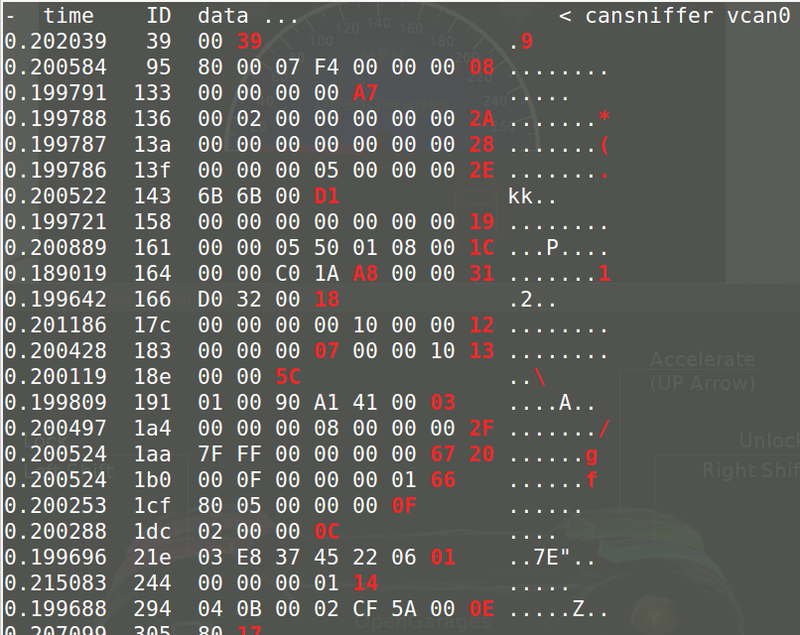 Using the data from the CAN network reversing lab above we can call these actions directly with the proper CAN-ID and Byte. Since we are remote to the target we can’t just reach over and grab the steering wheel or hit the throttle we will instead send your CAN frame to make the change. One way we can do this is via the CanSend utility. Lets take our information from our lab above and make the left turn signal flash with the following ID 188 for the turn signal by changing the first byte to 01 indicating the left signal is pressed. CanSend uses the format ID#Data. You will see this below when sending the turn signal via CanSend. You should have noticed that the left signal flashed. If not pay more attention and give it another try or make sure you used the correct ID and changed the correct byte. So lets do the same thing with the throttle and try to set the speed to something with ID 244 that we determined was the throttle. Yes thats much better, you may notice the needle jumping back and forth a bit. The reason the needle is bouncing back and forth is because the normal CAN traffic is sent telling the car its actually set to 00 in between your frames saying its 30mph. But it worked and you have now changed the speed the car sees and you have flashed the blinker without using the cars normal blinker controls. Pretty cool right? Another way to handle this issue is to monitor the CAN network and when it sees an ID sent it will automatically send the corresponding ID with a different value.. Lets give that a try to modify our speed output by monitoring for changes. Below we are simply running CanDump and parsing for ID 244 in the log output which is the throttle value that tells the car the speed. When a device in the car reports ID 244 and its value we will immediately resend our own value saying the speed is 30mph with the value 11. See below command and try this out. With this running after a few seconds you will see the speed adjust to around 30MPH once it captures a legitimate CAN-ID 244 from the network traffic and sends its own value right after. Ok cool, so now while the above command is still running click the controller window and start holding down the Up arrow with the controller in focus.. After a few seconds or so when the speed gets above 30MPH you will see the needle fighting for the real higher value and adjusting back to 30MPH as your command keeps sending its on value as a replacement to the real speed. So thats one way of monitoring the network and reacting to what you see in a very crude manner. Maybe someone stole your car and you want to monitor for an open door and if they try to open the door it immediately locks them in. I am not an expert car hacker but I hope you enjoyed this. Thats about as far as I want to go into this subject today, in the next blog we will get into how to code python to perform actions on the CAN network to manipulate things in a similar way. With your own code you are not limited to the functionality of the tools you are provided and can do whatever you want. This is much more powerful then just using the CanUtils pre defined tools. Later on I will also get into the hardware side of things if you would like to try this on a real car where things are more complicated and things can go wrong. Bob was tasked to break into XYZ corporation, so he pulled up the facility on google maps to see what the layout was. He was looking for any possible entry paths into the company headquarters. Online maps showed that the whole facility was surrounded by a security access gate. Not much else could be determined remotely so bob decided to take a drive to the facility and get a closer look. Bob parked down the street in view of the entry gate. Upon arrival he noted the gate was un-manned and cars were rolling up to the gate typing in an access code or simply driving up to the gate as it opening automatically. Interestingly there was some kind of wireless technology in use. How do we go from watching a car go through a gate, to having a physical device that opens the gate? We will take a look at reversing a signal from an actual gate to program a remote with the proper RF signal. Learning how to perform these steps manually to get a better understanding of how RF remotes work in conjunction with automating processes with RFCrack. In the the previous blogs, we sniffed signals and replayed them to perform actions. In this blog we are going to take a look at a signal and reverse it to create a physical device that will act as a replacement for the original device. Depending on the scenario this may be a better approach if you plan to enter the facility off hours when there is no signal to capture or you don’t want to look suspicious. Lets first use the scanning functionality in RFCrack to find known frequencies. We need to understand the frequencies that gates usually use. This way we can set our scanner to a limited number of frequencies to rotate through. The smaller rage of frequencies used will provide a better chance of capturing a signal when a car opens the target gate. This would be beneficial if the scanning device is left unattended within a dropbox created with something like a Kali on a Raspberry Pi. One could access it from a good distance away by setting up a wifi hotspot or cellular connection. Based on research remotes tend to use 315Mhz, 390Mhz, 433Mhz and a few other frequencies. So in our case we will start up RFCrack on those likely used frequencies and just let it run. 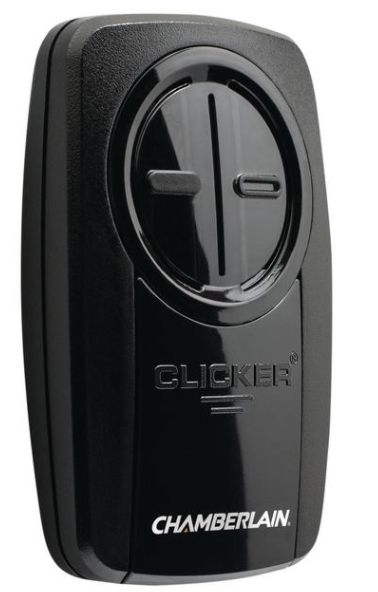 We can also look up the FCID of our clicker to see what Frequencies manufactures are using. Although not standardized, similar technologies tend to use similar configurations. Below is from the data sheet located at https://fccid.io/HBW7922/Test-Report/test-report-1755584 which indicates that if this gate is compatible with a universal remote it should be using the 300,310, 315, 372, 390 Frequencies. Most notably the 310, 315 and 390 as the others are only on a couple configurations. Since the most used ranges are 310, 315, 390 within our universal clicker, lets set RFCrack scanner to rotate through those and scan for signals. If a number of cars go through the gate and there are no captures we can adjust the scanner later over our wifi connection from a distance. Ok sweet, now we have a valid signal which will open the gate. Of course we could just replay this and open the gate, but we are going to create a physical device we can pass along to whoever needs entry regardless if they understand RF. No need to fumble around with a computer and look suspicious. Also replaying a signal with RFCrack is just to easy, nothing new to learn taking the easy route. The first thing we are going to do is graph the capture and take a look at the wave pattern it creates. 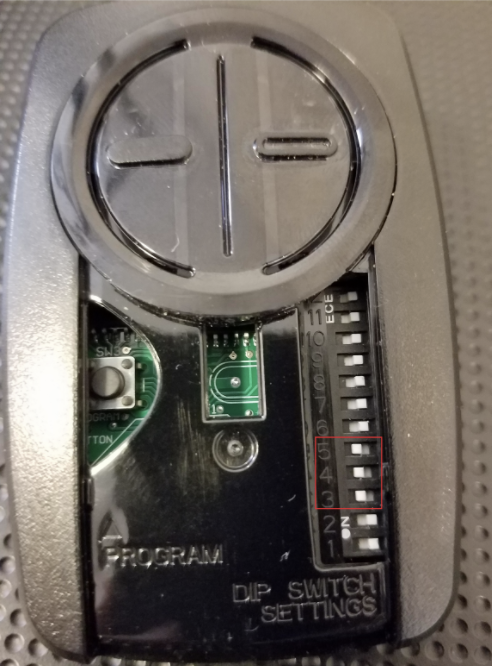 This can give us a lot of clues that might prove beneficial in figuring out the toggle switch pattern found in remotes. There are a few ways we can do this. If you don’t have a yardstick at home you can capture the initial signal with your cheap RTL-SDR dongle as we did in the first RF blog. We could then open it in audacity. This signal is shown below. Proper toggle switch configuration allows us to program a universal remote that sends a signal to the gate. However even with the proper toggle switch configuration the remote has many different signals it sends based on the manufacturer or type of signal. In order to figure out which configuration the gate is using without physically watching the gate open, we will rely on local signal analysis/comparison. Programming a remote is done by clicking the device with the proper toggle switch configuration until the gate opens and the correct manufacturer is configured. Since we don’t have access to the gate after capturing the initial signal we will instead compare each signal from he remote to the original captured signal. This can be done a few ways, one way is to use an RTLSDR and capture all of the presses followed by visually comparing the output in audacity. Instead I prefer to use one tool and automate this process with RFCrack so that on each click of the device we can compare a signal with the original capture. Since there are multiple signals sent with each click it will analyze all of them and provide a percent likelihood of match of all the signals in that click followed by a comparing the highest % match graph for visual confirmation. If you are seeing a 80-90% match you should have the correct signal match. 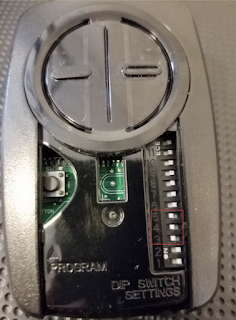 Note: Not every click will show output as some clicks will be on different frequencies, these don’t matter since our recon confirmed the gate is communicating on 390Mhz. Setup sniffer: python RFCrack.py -k -c -f 390000000. Setup Analysis: python RFCrack.py -c -u 1f0fffe0fffc01ff803ff007fe0fffc1fff83fff07ffe0007c -n.
Now with the two terminals open and running click the reset switch to the bottom left and hold till it flashes. Then keep clicking the left button and viewing the output in the sniffing analysis terminal which will provide the comparisons as graphs are loaded to validate the output. If you click the device and no output is seen, all that means is that the device is communicating on a frequency which we are not listening on. We don’t care about those signals since they don’t pertain to our target. At around the 11th click you will see high likelihood of a match and a graph which is near identical. A few click outputs are shown below with the graph from the last output with a 97% match. It will always graph the highest percentage within a click. Sometimes there will be blank graphs when the data is wacky and doesn’t work so well. This is fine since we don’t care about wacky data. You will notice the previous clicks did not show even close to a match, so its pretty easy to determine which is the right manufacture and setup for your target gate. Now just click the right hand button on the remote and it should be configured with the gates setup even though you are in another location setting up for your test. You have now walked through successfully reversing a toggle switch remote for a security gate. You took a raw signal and created a working device using only a Yardstick and RFCrack. 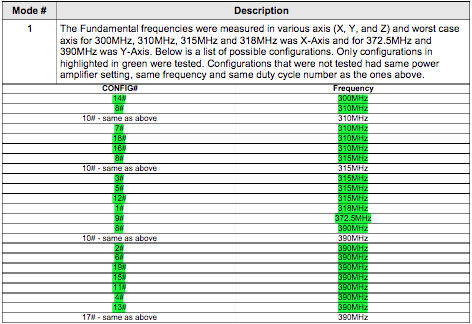 This was just a quick tutorial on leveraging the skillsets you gained in previous blogs in order to learn how to analyze RF signals within embedded devices. There are many scenarios these same techniques could assist in. We also covered a few new features in RF crack regarding logging, graphing and comparing signals. These are just a few of the features which have been added since the initial release. For more info and other features check the wiki.